should have gone to Brighton! 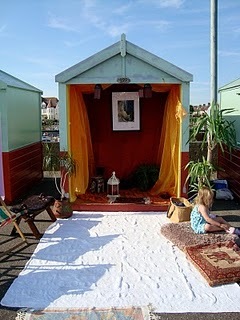 It looks like, along with thousands of others, I made the wrong choice yesterday in watching the football – instead we could have had a lot more fun in taking a trip to Brighton and experiencing Beyond’s Beach Hut Spirituality. I love the creativity explored by Beyond and the way they engage with faith. This entry was posted in art, emerging church by robryan65. Bookmark the permalink.